Pabu Izakaya – Star chef Michael Mina and Ken Tominaga’s first collaboration opened this month in Harbor East at 725 Aliceanna Street across from the Marriott Hotel. As a plus one the other night I got to enjoy a cross section of the Japanese small plates and some knock your socks off saki thanks to one of the county’s leading saki experts, Tiffany Soto, their beverage manager. 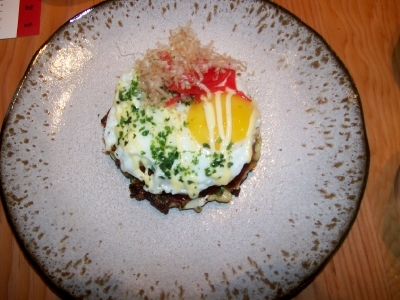 Izakaya in Japanese is defined as a bar that serves small plates of food. Sit at the bar with a view of the harbor, at the sushi bar and watch the sushi masters create Ken’s roll or a cozy table.